Root Lowell Perma Seal Backpack sprayer is designed with an internal pump which will not leak on the user. There are no holes or connections in the bottom of the tank. This pump has a 4 gallon/15 liter tank capacity with graduation marks. 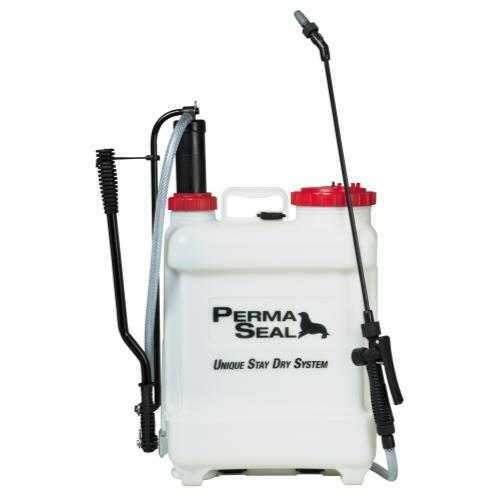 Other sprayer features include UV resistant materials, reinforced hose and a large pressure chamber for long lasting pressure between pump strokes. Includes adjustable and flat fan poly nozzles and a heavy duty flow control flexible wand.